Looking for a hedge fund or private equity job in Boston or elsewhere in Massachusetts? There are currently 45 hedge funds and private equity firms seeking new employees in and around Boston including Cambridge, Newton, Waltham and Amherst. Below is a partial list of hedge funds currently with open job positions. For a complete and more up-to-date list of more than 225 hedge funds in Massachusetts, along with their current hiring status, please download our MA Hedge Fund List. Remember, the above represents just 10 of the more than 45 hedge funds and private equity firms with available positions in the Boston area. If you are looking for a hedge fund job in Boston our MA Hedge Fund List is an invaluable resource. It contains detailed information on more than 225 hedge funds and private equity companies in Massachusetts, including Boston, Cambridge, Waltham and more. Each listing includes address, phone, fax, emails, executive contacts, AUM, hiring status, and much more. Whether you are looking for a position as a hedge fund Analyst, Associate, Accountant or other position, it truly is the perfect hedge fund job resource. Download the MA Hedge Fund List now. Looking for a private equity job in Boston or elsewhere in Massachusetts? There are currently 45 hedge funds and private equity firms seeking new employees in and around Boston including Cambridge, Newton, Waltham and Amherst. Below is a partial list of private equity companies currently with open job positions. For a complete and more up-to-date list of more than 225 hedge funds and private equity firms in Massachusetts, along with their current hiring status, please download our MA Hedge Fund / PE List. Remember, the above represents just 10 of the more than 45 hedge funds and private equity firms with available positions in the Boston area. If you are looking for a hedge fund job in Boston our MA Hedge Fund / PE List is an invaluable resource. It contains detailed information on more than 225 hedge funds and private equity companies in Massachusetts, including Boston, Cambridge, Waltham and more. Each listing includes address, phone, fax, emails, executive contacts, AUM, hiring status, and much more. Whether you are looking for a position as a private equity Associate, Accountant, or other position, it truly is the perfect hedge fund job resource. 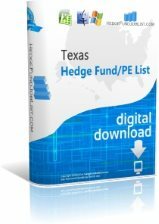 Download the MA Hedge Fund / PE List now. Description: Hedge fund in Boston is seeking to hire a Project Manager. Job responsibilities include providing leverage for management and improving new machines. Qualifications: Strong academic performance. Strong communication skills. Strong Excel skills required. Description: Hedge fund in Boston is seeking to hire a Trader. Responsibilities include performing strategic projects, executing trades, improving trade implementation process and providing mentorship to new traders. Qualifications: Strong academic record required. Trade executione experience. Excel and VBA skills required. Description: Hedge fund in Boston is seeking to hire a Quant Developer. Responsibilities include adapting research prototypes of models to a production environment. Qualifications: 3+ years programming experience required. Description: Hedge fund in Boston is looking to hire Quant Market Risk Associate. Responsibilities include analyzing P&L, understanding risk and trading positions, and developing risk measures and ensuring adequacy of risk-tests. Qualifications: 3+ years experience in related. Strong programming skills required. Bachelors degree in Physics, Math, Engineering or related.